Quality Assurance - Ballsbridge University , Quality Accredited Education, Promoting Lifelong Learning and research,MBA, PhD. DBA. .. The EQF enables the learners, learning providers and employers to compare qualifications between different national systems. This is thought to help increase mobility in the labour market within and between the countries because it makes it easy to determine a person’s level of qualification which in turn will improve the balance between demand and supply of knowledge and skills. BQS provide statement of comparability of foreign qualifications to EQF. Ballsbridge University statement of Comparability to EQF standards will be available from the BQS. BU follows all the EQF and ECTS standards. International Accreditation organization (IAO) is an international quality assurance agency working to enhance the standards of education around the world. Ballsbridge University programs are globally recognized and fully accredited by the International Accreditation Organization (IAO). The Institution has been awarded the full accreditation status after a rigorous evaluation through IAO’s patented accreditation process. BU has been assessed on the IAO standards of the global best practices for educational institutions in diverse fields such as Organizational Management, Academic Management and Institutional Performance, with the agency’s Points Profile© system. BU is fully capable of and responsible for providing affordable and high quality education to students across the globe. AIO have articulation collaboration with several ministries of education and states accredited agencies around the globe. Currently the following agencies are partners with IAO: Department of Adult & Higher Education, Ministry of Education (Bhutan), The National Commission for University Evaluation and Accreditation (Argentina), The National Higher Education Accreditation (Costa Rica), The Accreditation and Quality Assurance Commission (Palestine), The Agency for Development of Higher Education and Quality Assurance (Bosnia and Herzegovina), Accreditacion Agencia (Chile), The Quality Assurance & Accreditation Council (Sri Lanka), Public Agency for accreditation of Higher Education (Albania), Center for Quality Assurance and Accreditation for HEI (Libya) and Higher Education Quality Evaluation Centre (Latvia), etc. The BU is also an accredited affiliate of the California university FCE commissioned by some regional and national accredited universities in the USA to do curriculum and education programme evaluation . The Board of CUFCE has evaluated curriculum of Ballsbridge University as the equivalent of the regional and national accredited Universities in the USA. California University FCE equivalency-degree evaluations are generally accepted for immigration as well as Federal, State and private employment arenas in USA and Internationally. 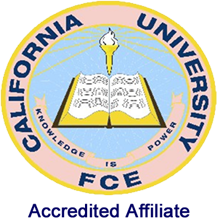 California University FCE progressively promotes honesty, integrity as well as academic excellence in education. CUFCE is also a partner of University for Peace-Universidad de la Paz UPAZ (UPEACE) - UNESCO partner, accredited by the Ministry of Education of Panama since 1994. The Ballsbridge University is in compliance with ISO 9001:2008 for Quality Assurance and QMS manual is audited by the Board of Quality Standards BQS and international Quality institute IQIHE both are Authoritative professional bodies of Ballabridge university system with self governing fellows and consultants around the world. The BU curriculum is accredited at the ballsbridge Qualification framework BQF regulated by BQS is the equivalent of QCF in UK . Bachelor degree at Level 6 -Masters degree at level 7-doctorate at level 8. Ballsbridge university curriculum is accredited for Professional Membership of the Institute of Management Specialists UK. The Institute of Management Specialist is listed in British Qualifications– the British Council’s reference book, published by Kogan Page Ltd. The curriculum of BU was accredited for professional membership grade by the quality assurance committee of ICP. The international peer review board has reviewed the institution against the BQS ISO 9001:2012 IAQM and grant the Quality mark IAQM to the institution. 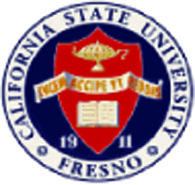 The Institute for International Credentials Evaluation of California State University fresno is one of the U.S. credential evaluators that are entrusted to perform credential evaluation of credits earned from U.S. colleges and universities, as well as from foreign institutions. The Institute does not evaluate medical degrees. The Institute is an after-hours community service of the International Student Services and Programs office of the University. BU international students can send their qualification for USA academic equivalency evaluation. The ballsbridge university was granted a royal charter and support by the head of Arogunzobo Royal Dynasty prince thomas idahosa osemwende PhD and serving as the first titular head of the university. The Quality of the university and academic standing is regularly monitored by the prince. England Institute of World Chartered Economists was established and approved as a world regulatory professional body for the professional economists under the act of 1988, section 19 (2) by the government of Namibia. The objectives and purpose of the establishment of this economic and finance professional body is to regulate the profession and bring together the chartered economists around the global. EIWCE is also ensuring to train and retrain the chartered economists globally as to contribute positively to their various societies and nations. BU is accredited by EIWCE. London institute of Africa chartered Economist is a worldwide chartered body for professionals in economics,business administration,marketing etc. BU is accredited by LIACE. CIWCA is a regulatory body for accountant worldwide. BU is accredited by CIWCA.